Caffice is a coffee shop that's about a five minute walk from Shinjuku Station in Tokyo. It has free WiFi (and LAN plugins), food, drink, and even alcohol. 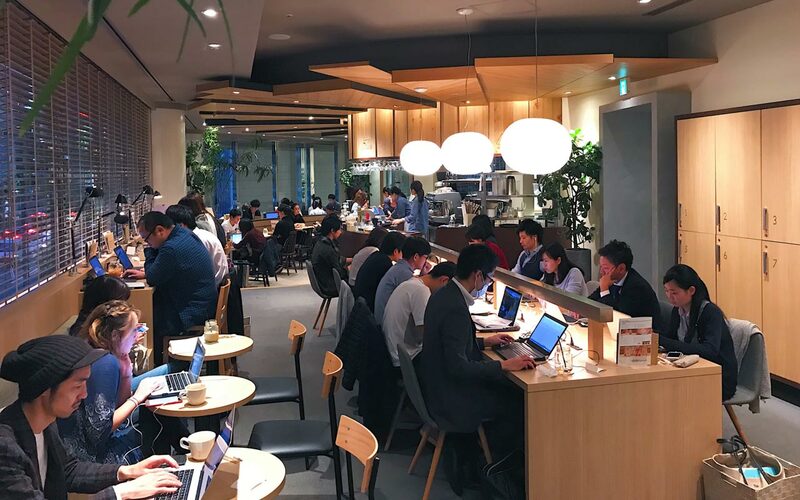 It was my second stop on a week-long quest to find great places in Tokyo where you can sit down and work. There is a two-hour all-you-can-drink wine special on the menu. For ¥1,500, you can drink as much red or white wine as you want. I assume this is exactly what people mean when they talk about work-life balance. Earlier in the morning, I worked from a nearby Shinjuku co-working space, Base Point, which turned out well. After that I moved on to Brooklyn Parlor, having heard that they offer free WiFi and a nice environment to work from (that was a bust, though they did have free WiFi). After that, I came to Caffice, where I was able to spend two guilt-free hours typing all kinds of garbage on my iPad. Those are important words for me: "guilt-free." In Tokyo, space comes at a premium. And when it comes to the nomadic work life, there just aren't as many options as there are in the US. Places like Base Point are perfect, because you pay for the time you are there. Caffice was more like a normal cafe, though I never felt rushed, and there were plenty of people around me working or studying on their laptops. The work area is the largest. There are electrical outlets, LAN ports, and lamps, all arranged for single seating. You can use your computer. You must buy at least one drink per customer. If you want to change seats, please tell a staff member. Don't bring in your own food. Don't try to do business/sell something to someone. If you follow these rules (and I'm sure you will) you should be just fine. Regarding rule number three, coincidentally there is a two-hour nomihoudai 飲み放題（） (all-you-can-drink) wine special on the menu. For ¥1,500, you can drink as much red or white wine as you want. I assume this is exactly what people mean when they talk about work-life balance. 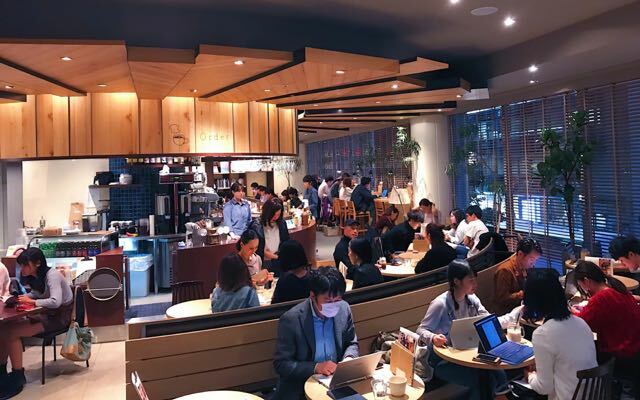 If you are looking for a more traditional "cafe" in Tokyo to work from, Caffice is one of the better places I've come across. I can't speak to their food, because I was stuffed by the time I got there. But the drinks and the workspaces are good, and I was able to charge my phone. 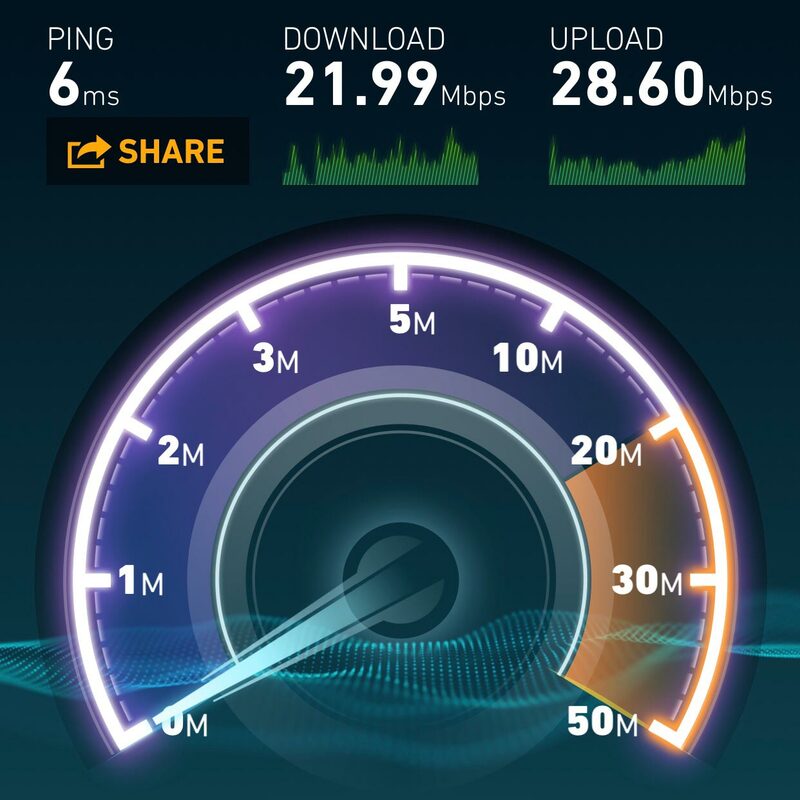 The Internet was acceptably fast too. During my two hours (actually, I went over, but nobody said anything) I was able to write this article for Tofugu's Japan Travel section and did some other work too. 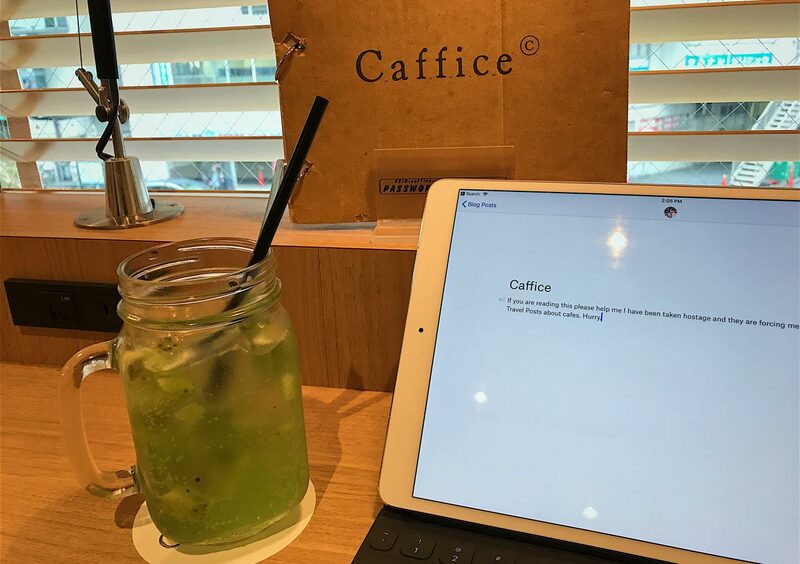 For a good place to spend a couple hours working, it's worth giving Caffice a try. A very typical working cafe. Brightly lit, lots of power outlets, and a lot of others on their laptops. Definitely going to go for the all-you-can-drink wine option next time… you know, to get some work done. They make it clear it's okay to work there, even though it's a regular cafe. There's an all-you-can-drink option on the menu, for those difficult projects. They suggest a two-hour maximum.